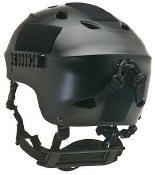 Click On Categories Below to Search Pro-Tec & Military Products! Need to protect your noggin? 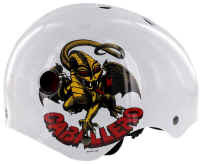 Choose from skateboard helmets, bicycle helmets, wakeboard helmets, kayak helmets, search & rescue helmets, military helmets, water helmets, roller blade helmets, protective helmets, motor cross helmets, snowboard helmets, skiing helmets, and more! Need padded protection? Choose from knee pads, elbow pads, ramp pads, BMX pads, wrist guards and ankle braces! Pro-Tec products have a wide range of helmets and pads to choose from and for decades has been leading the way in providing the best in protection at affordable prices! Some of Pro-Tec sponsored riders (past and present): Bucky Lasek, Christian Hosoi, Bob Burnquist, Omar Hassan, Steve Caballero, Lincoln Ueda, Scotty Cranmer, Cory Nastazio, Stephen Murray, Chris Doyle, Alistair Whitton, Ryan Guettler, Scotty Arnold, Andreas Wiig, Tara Dakides, and Danny Kass.